Benedict Cumberbatch is to play the man who masterminded the Vote Leave campaign during the Brexit referendum in a new Channel 4 docudrama. The actor will play Vote Leave’s campaign director Dominic Cummings. The two-hour drama, which has a working title of Brexit, has been written by political dramatist James Graham. Channel 4 said it would “explore the myriad tactics employed to swing one of the most surprising referendum results in living memory”. Vote Leave was the official “out” campaign during the 2016 EU referendum and was backed by cabinet ministers including Boris Johnson and Michael Gove. Most of the drama’s action will take place during the build-up to the vote and “will explore the anatomy of a modern data-driven election campaign, and the divisive figures driving it from the shadows”, Channel 4 said. 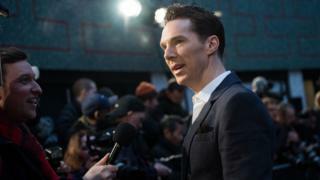 The broadcaster said the drama would set out “not to be an analysis of who was right and who was wrong, but rather is the story of how it happened, and why”. Mr Cummings was one of the referendum’s leading strategists, and has said the “out” campaign probably would not have won without the famous bus pledging an extra £350m a week for the NHS. He hasn’t commented on Channel 4’s plans, but he has been at loggerheads with Channel 4 News over their reporting of Vote Leave’s spending during the referendum. The group’s spending is currently being investigated by the Electoral Commission. Vote Leave has also come under scrutiny for its Facebook campaign after it enlisted a data firm that may have improperly received users’ data. Vote Leave has denied any wrongdoing. Dramatist Graham penned the script for Coalition, a 2015 Channel 4 docudrama about the aftermath of the 2010 general election. He also created political stage dramas including This House, Labour of Love and Privacy. Graham’s retelling of the EU referendum is likely to prove contentious, partly because disputes about how the campaign was conducted are still raging. Mr Cummings has been summoned to appear in front of the House of Commons Digital, Culture, Media and Sport committee on Tuesday to answer questions about Vote Leave’s spending, use of personal data and co-ordination with other pro-Brexit groups. But he has accused the MPs of being more interested in grandstanding than uncovering the truth, and has said he will not give evidence to the committee “under any circumstances”.